Helps your child understand how civilization started! 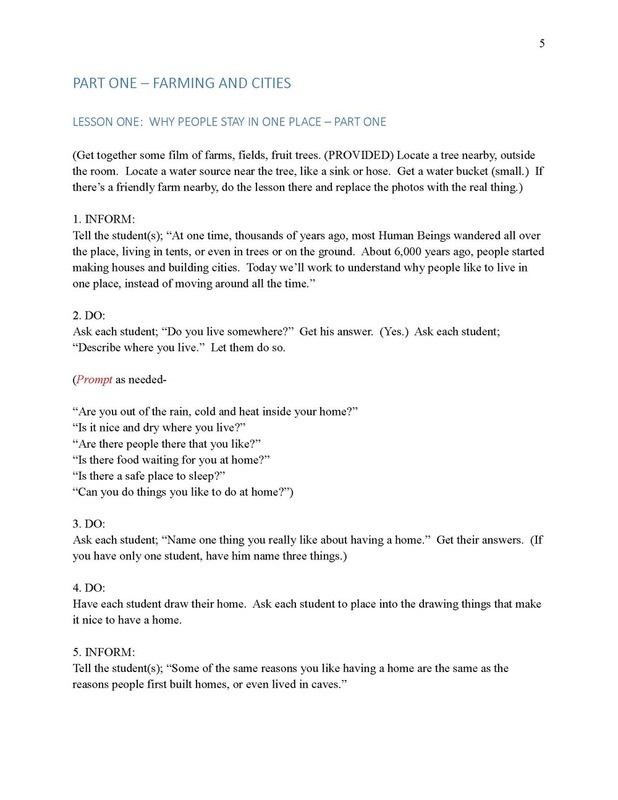 Lesson plans which unveil the birth of mankind's greatest achievement, civilization. What is civilization? Where do civilizations start, and why? What must one have to create a civilization? What were the first cities like? Where was the first city and what happened to it? What is a king? Why do we have “kings”? Why do people form cities and nations? The most profound questions are answered simply and directly and by the student himself, through a highly creative, student-oriented approach. A great way to introduce a child or young student to the world we live in...even a preliterate student!